The San Diego Gay Men’s Chorus is lashing out at the San Diego Padres after the group, standing on the field at Petco Park to sing the national anthem on Saturday evening, was upstaged by a recorded female voiceover singing instead. … 100 volunteer singers of the San Diego Gay Men’s Chorus took to the field to proudly sing the National Anthem. Instead, in front of the large crowd gathered for the LA Dodgers game, the San Diego Padres played the recorded voice of a woman singing the anthem. 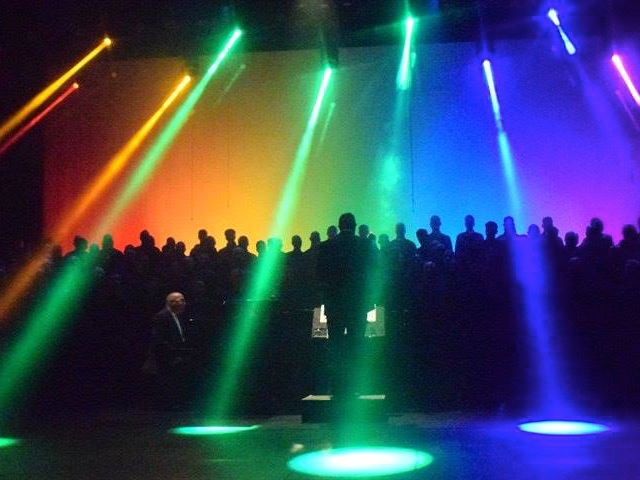 The San Diego Gay Men’s Chorus is calling on the Padres and Major League Baseball to investigate the incident as a potential hate crime, and calling on city officials to investigate as well. The Padres immediately apologized, and responded on Sunday, according to local ABC News affiliate 10 News, saying there had been “no evidence of malicious intent on the part of any individuals involved,” but noting that the team had fired the “third-party contractor” responsible for handling the national anthem. The Padres won the game 3-2 with a bases-loaded walk in the 11th inning.